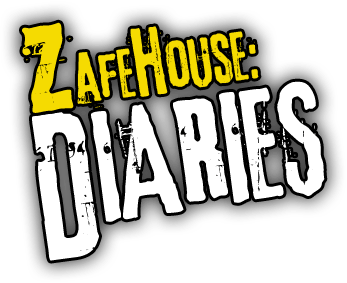 The most recent version of Zafehouse: Diaries is: v1.2.31 (released November 8, 2013) If you bought Zafehouse: Diaries via Desura, GOG or Steam Please use the updating facilities provided by these distributors to patch your copy of the game. 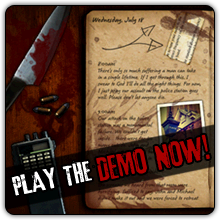 If you bought Zafehouse: Diaries directly from us or from GamersGate To update any older version of the game, please download the patch using the link below: Download latest patch Before applying the patch, make sure Zafehouse: Diaries is not running. On some systems, Zafehouse: Diaries may display visual anomalies, such as corrupted graphics or invisible text. The game comes with a "Diagnostics Tool" that allows you to turn on certain compatibility fixes to address these issues. The tool can be found in the "Zafehouse Diaries" program group, or in the game's installation directory as a file called "ZafeDiag.exe". Support during our testing phases will be handled entirely through the development area on the forums. If your question is not answered, start a new topic and ask away. Logan and David actively monitor the forums, so this is your best chance at getting help. We cannot provide support unless you have the latest update and your PC conforms to following specifications. Please note these are the minimum recommended system requirements; better hardware will provide an improved experience.